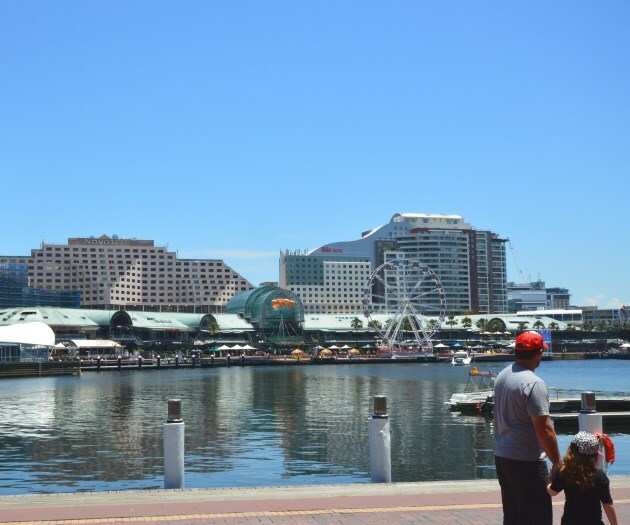 Darling Harbour has fun for kids and the whole family. 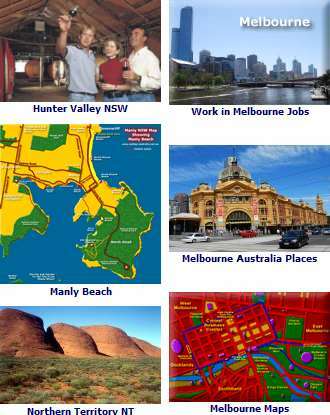 Located just west of the Sydney city centre, it is accessible by Bus, Lightrail or Ferry, or just a short walk from the Sydney CBD (central) or our Chinatown. This Sydney suburb boasts some of Australia’s finest museums and entertainment facilities and is a well known conference and exhibition centre. Darling Harbour to Sydney South. You can find a whole array of things to do for kids, such as the Sydney Aquarium and the new Sydney Wildlife Center, to mention a few. The Imax Theatre shows features daily on their gigantic screen. The Powerhouse Museum has a vast array of hands on displays and kids activities to try. The Australian National Maritime Museum has ships, boats and sometimes submarines for kids to clamber on. The shopping caters from authentic Australiana at the Gavala National Aboriginal Cultural Centre to fashion, jewellery, gifts and souvenirs. Opal shoppers will be delighted by the array of choices available. Thousands of exhibits relate Australia’s history from ancient times when Aboriginal people trapped fish and traded with Asian neighbors, right up to the present at the Australian National Maritime Museum. See what life was like on the convict ships - how Australia rode on the whale’s back, how our first submarine fought bravely (and lost) at Gallipoli, what people packed when they sailed to a new life on these shores, why surfboards have become shorter- and much more. Review the fleet! Board Vampire, the former Australian Navy destroyer and last of it’s big gun ships. A free guided tour will take you down below to see how the crew lived, worked and relaxed. Also - the famous World War II Australian commando boat Krait, a sleek racing cutter of 1888 - a Vietnamese refugee boat that made the hazardous sea voyage to Australia, a pearling lugger from Broome, and more. 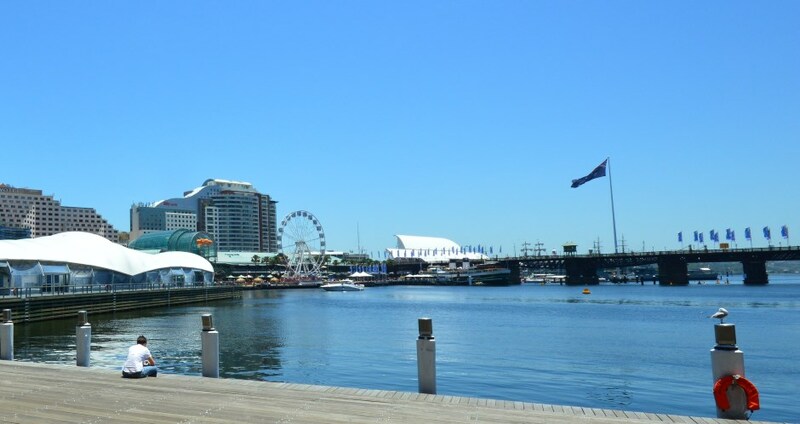 Darling Harbour is a centre for nightlife, dance the night away or enjoy a cocktail while taking in the water views, there are bars, pubs and restaurants to try. Sydney Aquarium with the largest collection of Australian marine life, some dangerous, all beautiful. Try and take the time to see the new Wildlife Centre with all kinds of Australian fauna. The Powerhouse Museum - Sydney’s Distinguished and Largest Museum. Imax Sydney - 2D and 3D movies on a huge screen. This theatre is temporarily closed, it is being replaced by an even bigger and better IMAX, complete with Gold Class seating, that includes meals from select Darling Harbour restaurants. Chinese Garden of Friendship - A peaceful garden setting of ponds and waterfalls. Given to the city by the Guangdong Province it celebrates the contribution of Chinese culture to our way of life in Australia. More information about Darling Harbour can be found at the Sydney Visitor Centre.